The new TCS campus becomes the single largest IT facility owned by a single company in the country. Maharashtra Chief Minister Devendra Fadnavis on Wednesday inaugurated a sprawling new campus of IT services major Tata Consultancy Services (TCS) here which would have a capacity for 30,000 employees when fully operational. To be developed in two phases, the state-of-the-art TCS Olympus Centre is the latest addition to the company's unique global network of software development and delivery centres. 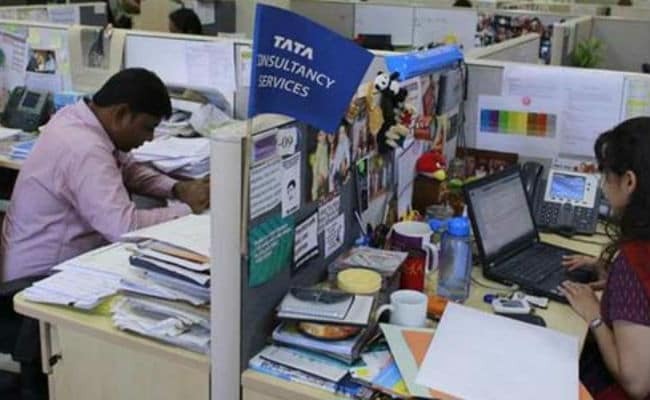 Tata Consultancy Services CEO and managing director Rajesh Gopinathan said the new next-gen workplace provided Collaborative Agile workspaces, Software-Defined Network, Security Operations Centre and a Cloud-enabled infrastructure. "Consolidating operations across Mumbai into Olympus Centre will also create more indirect employment opportunities in the Greater Mumbai area. "The facility will help TCS further drive the next phase of its growth," said Mr Gopinathan. Among other facilities, it would also house a training block, club house, gymnasium and thus provide a contemporary and holistic work culture. Developed as a 'green campus' leveraging on rainwater harvesting sewage treatment plant, eco-friendly, low-emission systems and fixtures, the new facility is IGBC Platinum rated. Present on the occasion was Tata Sons chairman N Chandrasekaran, other top officials and invited dignitaries. Spread across 19 lakh square feet in the lush green Hiranandani Complex, it becomes the single largest IT facility owned by a single company in the country. Besides this, TCS already has 19 offices in Mumbai and surroundings including its headquarters and 10 delivery centres in Mumbai and Thane.